Where South Africa faces its greatest challenge is in the field of air transport. The South African Air Force (SAAF) has a wide mix of ageing aircraft and the older they get the less flying hours they can offer and the most costly the maintenance. The extent of the problem was highlighted in 2012 when apparently the SAAF could only provide about 50 flying hours for each of its fighter pilots and most of its aircraft were not in service. The actual condition of the transport wing can only be guessed at, but with the cancellation of the planned procurement of the A400M under Project Continental in 2009 the SAAF cannot provide the airlift it needs if South Africa wants to participate in security operations on the continent or support emergency engagements. There is a requirement for about 44 transport aircraft but no decision has been taken to find an alternative to the A400M purchase. 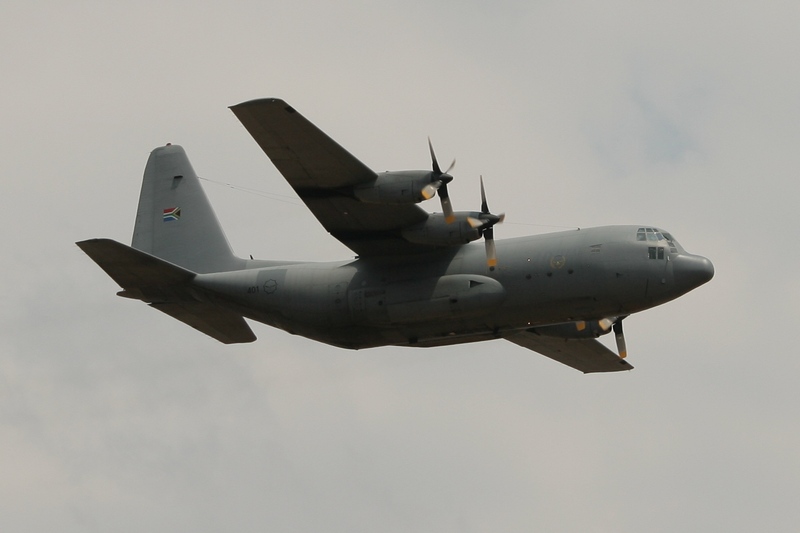 The workhorse that provides the SAAF’s existing airlift capability are the nine C-130BZ Hercules aircraft, based at AFB Waterkloof, which were procured in 1963. Instead of replacing them there are plans to extend their lifespan until 2020 or even 2030, which would require an engine overhaul. A life extension programme might allow the SAAF to procure other much need items, such as replacing the seven Douglas C-47TP Turbo Dakota medium transport aircraft and three C212 with eight similar aircraft, perhaps Alenia C-27J Spartans or Airbus C295s. But the SAAF also has 11 Cessna 208 Caravan aircraft and four King Airs that will need to be replaced. The need for adequate military airlifters was brought sharply into focus in March 2013 when South African troops were attacked by Seleka rebels during operations in Bangui in the Central African Republic. Reinforcements were prepared to go and support the South African contingent but the chartered Illyushin Il-76 and Antonov An-124 aircraft proved unreliable due to being unavailable at short notice or it was too risky an environment for commercial aircraft. If this was not a wakeup call then what is? The SAAF needs to make public its requirements for transport aircraft and make them a procurement priority.